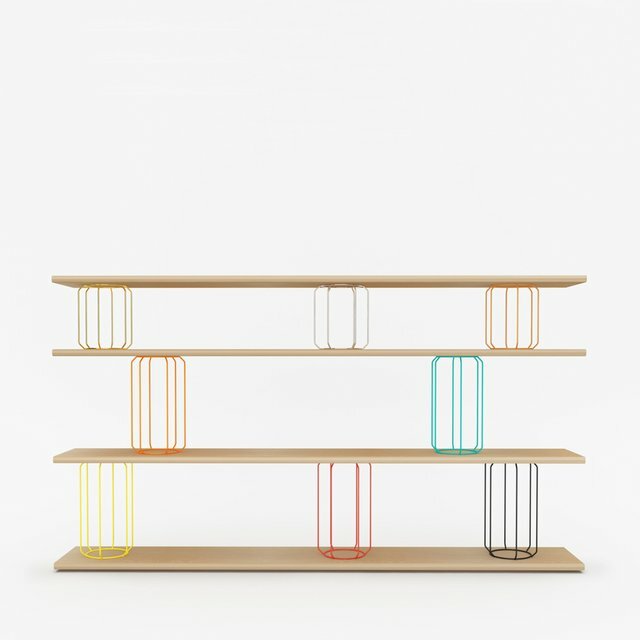 Circus is a hand-made shelving system inspired by the playfulness of the big top. 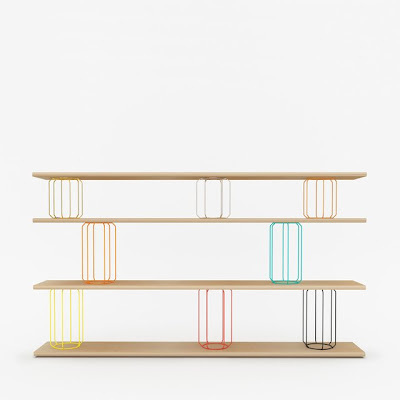 Each shelving unit includes up to eight colorful wire 'cages' that easily plug into the solid oak surfaces, meaning no tools are needed for assembly. 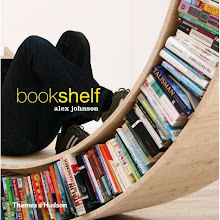 The cages create both exterior shelf space and a small interior space where favorite objects can be highlighted. Designer Stephen Burks.